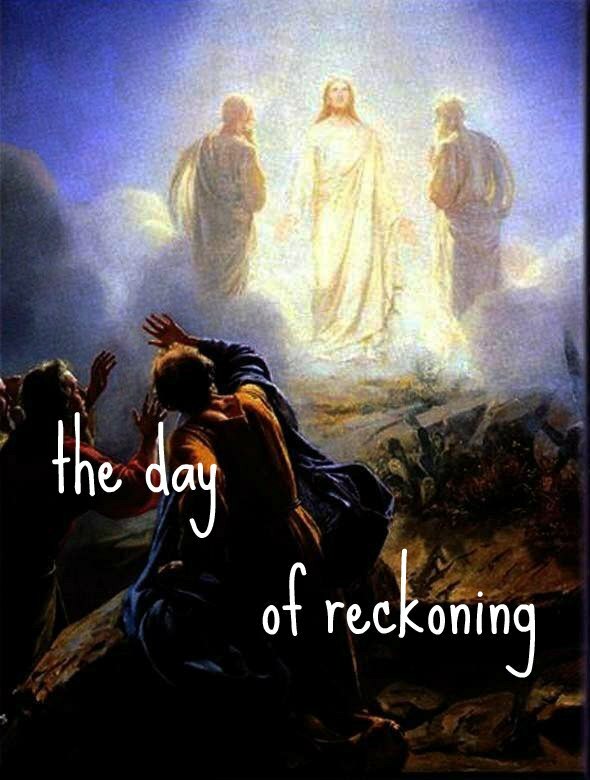 When the Lord comes out of His dwelling place the earth will no longer be able to cover its sin, for the day of reckoning has arrived for all mankind! (Isaiah 26:20-21). 20 Come, my people, enter thou into thy chambers, and shut thy doors about thee: hide thyself as it were for a little moment, until the indignation be overpast.21 For, behold, the Lord cometh out of his place to punish the inhabitants of the earth for their iniquity: the earth also shall disclose her blood, and shall no more cover her slain. The following passage is really something to think about as it says if the righteous are scarcely saved then what will be the end of the ungodly and sinner?One would think this would turn many from sin,but when we look around at the world today thinking about our fate when we die is far from the mind of a lot of people (1 Peter 4:14-19). 14 If ye be reproached for the name of Christ, happy are ye; for the spirit of glory and of God resteth upon you: on their part he is evil spoken of, but on your part he is glorified.15 But let none of you suffer as a murderer, or as a thief, or as an evildoer, or as a busybody in other men’s matters.16 Yet if any man suffer as a Christian, let him not be ashamed; but let him glorify God on this behalf.17 For the time is come that judgment must begin at the house of God: and if it first begin at us, what shall the end be of them that obey not the gospel of God?18 And if the righteous scarcely be saved, where shall the ungodly and the sinner appear?19 Wherefore let them that suffer according to the will of God commit the keeping of their souls to him in well doing, as unto a faithful Creator. Some believe the book of life is a hoax,but scripture tells of this book that will one day be opened and every soul will be judged according to their works out of it.This day of reckoning is inevitable and all the generations of people that ever lived since since God created them will give answer (Revelation 20:11-15). 11 And I saw a great white throne, and him that sat on it, from whose face the earth and the heaven fled away; and there was found no place for them.12 And I saw the dead, small and great, stand before God; and the books were opened: and another book was opened, which is the book of life: and the dead were judged out of those things which were written in the books, according to their works.13 And the sea gave up the dead which were in it; and death and hell delivered up the dead which were in them: and they were judged every man according to their works.14 And death and hell were cast into the lake of fire. This is the second death.15 And whosoever was not found written in the book of life was cast into the lake of fire.